Mohiniattam Adavus and Mudras is a well planned book of research and documentation, of the Adavus or Steps of Mohiniattam, through line drawings and notations. The Adavus are systematised and codified in an orderly manner. The Adavus have a Chollu or a Bol which are recited rhythmically with a Tala. There are 150 Adavus drawn in the book. They are divided into section I & 2, based on a particular feature or movement and rhythmic variations. The 24 Mudras of the ancient text named ‘Hasta Lakshana Deepika’ are discussed in detail. The essential features of classical Dance forms based on the ancient text of Natya Shastra have been elaborated with original Sanskrit Slokas. The book is a pioneering work and a worthwhile guide for teachers and students alike. “Now we see the process of rediscovery of Mohiniattam. This book is a well researched book which covers an extensive survey of the special history, geography, customs, religious beliefs, costumes and social set up of inhabitants of Kerala. This tropical paradise has given birth to the utterly feminine – lasya oriented type of classical dance - Mohiniattam. It also details the creative urge and artistic expressions of the author through her various dance choreographies- the highlight of this book. The photographs reveal the graceful, feminine and exquisite style of Mohiniattam – the dance of the enchantress. “Dr. Geeta Radhakrishna has with imagination and vision, dared to differ from the run-of-the-mill, to exploit the scope and excellence afforded by this dance of the enchantress. “The first impression one gets on meeting Dr. Geeta Radhakrishna is that of a level headed and resolute person. Her beautiful eyes exude the strong determination of a dedicated dancer. A Mohiniattam exponent, she has devoted herself to bringing to her audience, the beauty of the dance form – not just through dance but also through her books. Her book “Mohiniattam – the dance of the enchantress” was released at Nehru Centre, Mumbai. Standing on the stage before an enchanted audience was a confident woman, who had accomplished all that she had set out to do. But her journey from being a simple girl from a traditional Malayalee family to an accomplished dancer – who has performed world-wide – has been full of hard work and travail. A Science graduate from Palakkad, her home-town, Dr. Geeta obtained a Law degree from Govt. Law college, Bombay. But opted for Mohiniattam over a career in Law. She has learnt the dance form from the famous teacher Kalyanikutty Amma in Kerala. A scholarship from the Bhulabhai Memorial Institute, Bombay, triggered off her choreographic zeal. Pieces like “Narayaneeyam”, “Swamiye Saranam Ayyappa”, “Magdalana Mariam”, and many others have earned rave reviews from critics at home and abroad. “ Mohiniattam, unlike Kathakali, is one of the lesser known dance forms of Kerala. But for those who know the art form, its power to mesmerise and evoke sublimity, is incomparable. A variety of graceful moves juxtaposed with forms of divine love and devotion. Mohiniattam is an expression of youthfulness, a dance of existence and mirrors the state’s traditional culture of music and dance. Preserving this rich cultural heritage is well known danseuse Dr. Geeta Radhakrishna, who has dwarfed all the perceived notions of fame and popularity with every stage performance of hers. A unique blend of in-born talent, pure dedication and sincerity at heart, Dr. Geeta displays a fascinating urge to carry forward this legacy of Mohiniattam. This book is mainly a translation in English of ‘Geeta Govinda’ the famed love song of Radha and Krishna – a classic Sanskrit poem of the 12th century poet -Jayadeva. This song of Jayadeva is sung in Sopanam style; a unique form of music sung as a ritual in the Vaishnava temples of Kerala. Apart from the translation, transliteration of the entire text is given. The original, authentic Sanskrit text is also included in this book. Additionally, in the third edition of this book, twelve attractive Ragamala paintings, apart from some other miniature paintings of India, have been featured. "Geeta Govinda is a remarkable contribution of Dr. Geeta Radhakrishna and it is truly a gift of a mastermind, a contribution to art. The rising generation should avail of the contents beneficially. Jayadeva’s blessings shall crown Dr. Geeta’s efforts. May the river of her contributions continue. I have to record my admiration at the thoughtful, phenomenal, everlasting work Dr. Geeta has presented, which is service to art and the nation. May the river of noble songs continue to flow." "Many of us deeply interested in classical music are vaguely aware of Sopana Sangeetam. Dr. Geeta Radhakrishna’s deep love for this form of soulful music has prompted her to demystify this rich musical heritage of Kerala. She has traced the history of Sopana Sangeetam and the association of poet Jayadeva’s Geeta Govinda with Kerala in a very lucid manner. She has dwelt upon the unique features of this form of music and explained how and where it is rendered as well. She has also given us an insight into the life of poet Jayadeva and his wife Padmavathy, besides explaining how the Geeta Govinda reached the backwaters of Kerala. Interestingly, Jayadeva’s Ashtapadi, which is extremely popular in Orissa and west Bengal	has been woven into the traditional fabric of Kerala through Sopanam, so much so, that it is often believed that the two are synonymous. Her translation of the Ashtapadis has done full justice to the lilting poetic beauty. 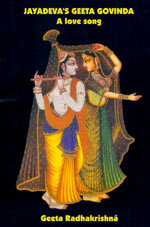 The choice of words and phrasing is highly aesthetic and brings out the spiritual love of Radha and Krishna without reducing it to a mundane translation of passion and eroticism. The bhava or emotional content is thus very carefully portrayed. She has also taken the trouble of finding and translating the three verses of the tenth Ashtapadi, which are not found in several translated works. Dr. Geeta’s valuable effort is a boon for all dancers. Young dancers, who are not well versed in Sanskrit, will find the translation very useful while choreographing the Ashtapadis, as every word and every line of the songs has been translated faithfully. Often, we find the presentation of the bhava of an Ashtapadi is at variance with the sentiment expressed by Jayadeva. This is due to a very superficial understanding of the import of the lyrics or due to poor comprehension of the context in which the song is composed. To address these deficiencies, Dr. Geeta’s book is an invaluable asset to the dance fraternity." "Dr. Geeta Radhakrishna’s love of Dr. Geeta Govindam, which is natural to a dancer, and devotion to Sri Krishna are evident in her work. She offers it as an altar flower at His shrine." Nature has manifested itself in numerous ways. Some splendorous, some gruesome! The Sun, the Moon, the Stars, the Oceans are awesome manifestations of nature. It influences us. They radiate joy. They can be benign and beautiful. But at the same time, nature can be fearful and horrendous. 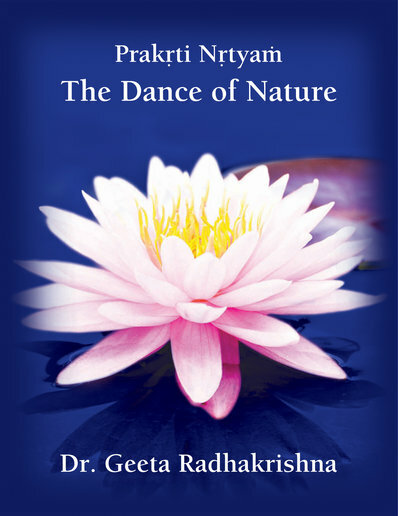 The various aspects of nature such as the flowers, the trees, the birds, the Mother Earth, the Dance and the Hasta Mudras, Yoga and the philosophy of life are all interpreted by the author through poems in lucid and inimitable style. “ I am convinced that Dr. Geeta Radhakrishna, followed by her daughter Radhika, have many more milestones to pass in their future careers. Dr. Geeta has created for posterity an invaluable asset by her works on Mohiniattam, which in years to come would be synonymous with her own name. She is an artiste with a mission, determined and bold. The core of her unique personality can be gleaned in the lines of her poem on Hasta Mudras; “I am a seeker ... Let me dance”. This book will outlive generations. “Dr. Geeta Radhakrishna’s love for nature comes to the fore in her book of poems extolling nature. Each poem is special in a different way. Alliteration is used with remarkable effect. Flowers, birds, trees come alive in her beautiful poems. Her poem on “Hastamudra” could be adapted for dance. The poems describing “The graceful danseuse”, brings before your eyes, the dance of joy very beautifully. The poems on “Mother Earth” based on the Ashtarasas are indeed very unique, capturing the various sentiments very artistically. Even the humble crow, in her poem, acquires a distinct, dignified personality. V.Sivaramakrishnan in “Dilip”, a quarterly devoted to the study of religion, science and society, emphasising the heritage and culture of India. Meditation (Dhyana) is usually associated with saintly personalities who concentrate their thoughts on a single deity or on one of the Vedic declarations called the “Mahavakyaas”, the great saying. When Dr. Geeta Radhakrishna, who is known as a devotee of art in the form of Kerala’s Mohiniattam, talks about meditation, one’s curiosity is aroused. The contents of this slim volume reveal another facet of her personality – the one that is deeply committed to Maharshi Patanjali’s Ashtaanga Yoga (eight- limbed Yoga). Looking upon Ahimsa as a “powerful way of life”, she interprets Ahimsa in terms of Yogic disciplines of conduct such as Satya, Aasteya, Aparigraha; she adds to it Sneha, Kshema, Karuna, Abhaya. (Two of these are also values of “Saadharana Dharma” enumerated by Manu viz Satya and Aasteya besides Ahimsa. Ahimsa and the associated values help control the mind, which is fundamental to the discipline of Yoga. 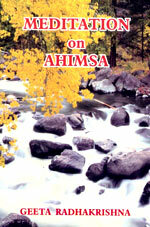 Ahimsa is not a single path of non-violence and non-injury! Refrain from stealing and lusting, and many more! So, “Ahimsa” is a mix of several virtues! 1. One should keep a vigil on oneself by: Keeping the thoughts pure and unsullied, Speaking soft and sweet words of kindness, Performing actions without malice or hatred, And focussed only on the highest goodness. 2. “Ahimsa” is all-embracing love, Love that does not confine, nor is confined, To any shape size or structure,Not a square, rectangle or triangle. 3. Greed is like a termite, it eats into you, Destroying every semblance of virtue. 4. When the world itself is changing Can I not change my inner world? Can I not change into a better human being? 5. Her wings – a combination again, A strip of white alternating with black, Like the touch of a painters brush! Dr. Geeta Radhakrishna makes bold to advocate the cause of Sanskrit as the national language at a time when hers can only be a cry in the wilderness. But her voice needs to be heard as her thoughts, which are good and pure, spring from our immemorial religious culture. She represents that culture to a remarkable degree if one goes by her dedication to art and commitment to values. The present volume is the fifth in the series of her books on art and aesthetic perceptions of life and nature. Devi Mahatmyam is an offering to Goddess Bhagavati. 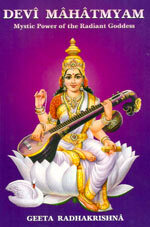 This book contains complete summary of the sacred book of “Durga Saptashati / Devi Mahatmyam” and the writers own compositions in verse on Sarasvati, Laksmi, Durga and Kali, besides a concise account of Emoor Bhagavati (Hemambika Devi) installed in Kallekulangara, Palakkad district of Kerala. “Dr. Geeta Radhakrishna, the well known dancer and exponent of Mohiniattam has come out with her sixth book; this is on Devi Mahatmyam. This work is the basic text for the worshippers of supreme Goddess in the Tantric way. The book is the result of a combination of talents, artistic and literary. Add to it the flavour of Bhakti and art plates of Sarasvati, Lakshmi and Durga, you have something valuable to cherish. 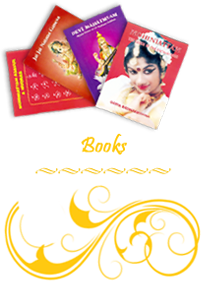 This booklet is an offering at the lotus feet of Sri Ganesa. The book contains various Sanskrit slokas written with English transliteration in praise of Vinayaka –remover of all obstacles and miseries of life. 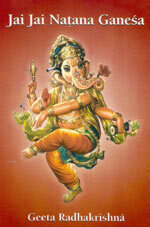 The booklet also explains how to perform Ganapati pooja with the recitation of 108 Mantras. A book that brings out the auspicious and dynamic aspects of Lord Siva. 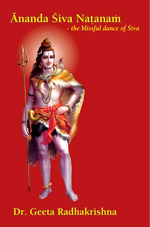 The author covers a wide range of subjects like Siva Kävya, Siva Darsana, Siva Linga, Siva Nataraja, Siva Rasa, Siva Puräna, Siva Stotra and Siva Mantra. 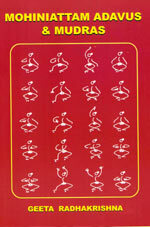 “Through “Ananda Siva Natanam” her eighth book, Geeta presents the rhythmic, dynamic, joyous, cosmic dance of Siva. The book reveals the writer as one with a sensitive mind, imaginative power, and narrative skill, all fused with aesthetic perceptions”. Chetana Book Centre, 34,K.Dubash Marg, Kalaghoda, Mumbai -400023. Jehangir Art Gallery, 161-B, Mahatma Gandhi Road, Mumbai -400001. Nalanda Book Shop, The Taj Mahal Hotel & Towers, Apollo Bunder, Mumbai 400001. Giri Trading Agency Private Limited Modi Niwas, Opp.Post Office, Matunga, Mumbai – 400 019. Kumar Classic Book – Dealers in Antiquarian Books and Art-related Media, Bhayendar, Mumbai. Kitab Khana , Somaiya bhavan, Ground floor, 45 / 47 M.G. Road, Fountain, Mumbai-400001. The Karnatic Music Book Centre, 23 A Sripuram 1st street, Royapettah, Chennai -600 014.